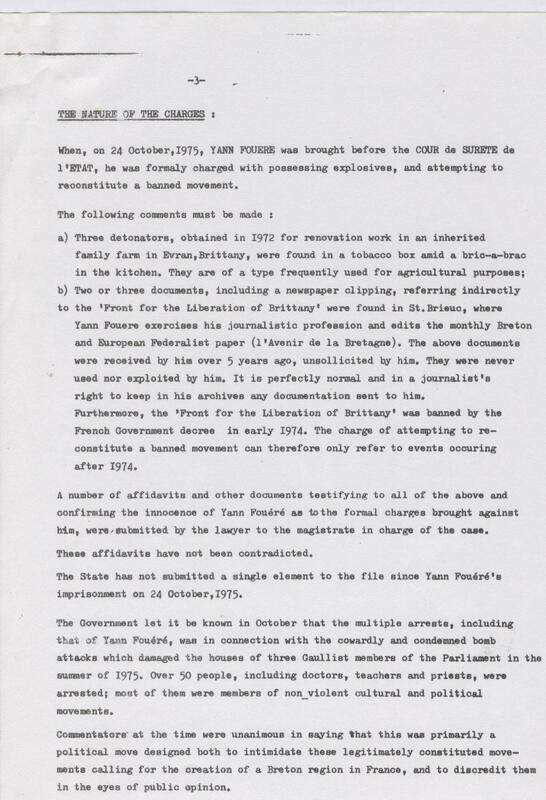 Various documents, press cuttings, interviews and collections of publications are in the process of being sorted. 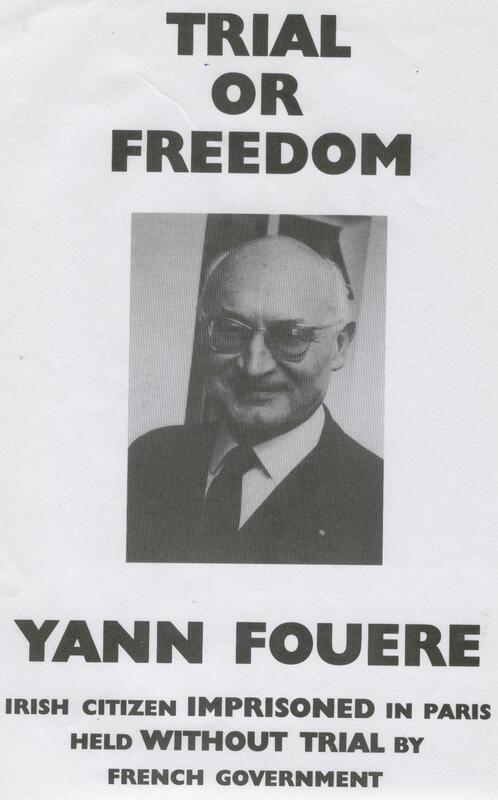 1975 Campaign poster and text for the release of Yann Fouéré, organised by family and friends, pages 1 to 7. 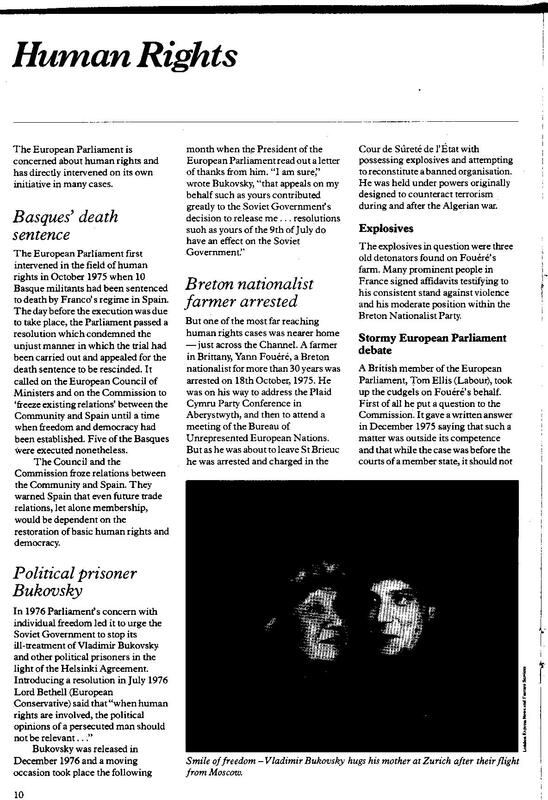 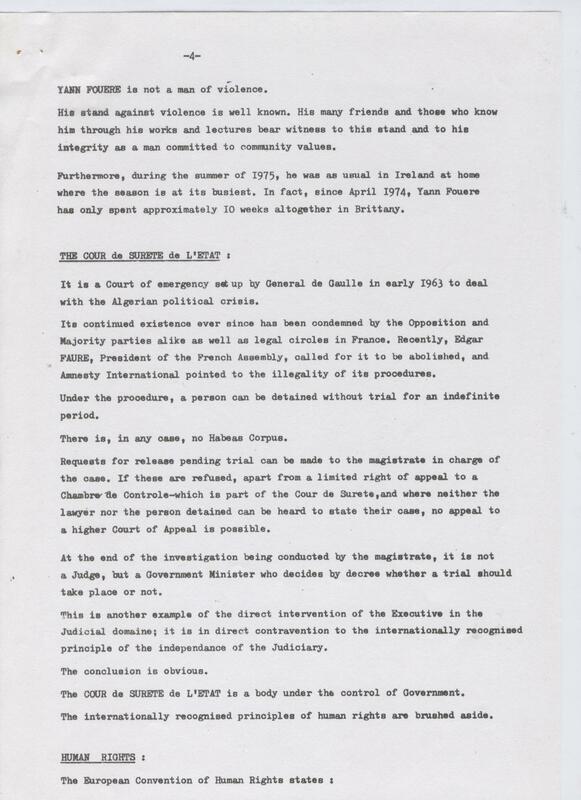 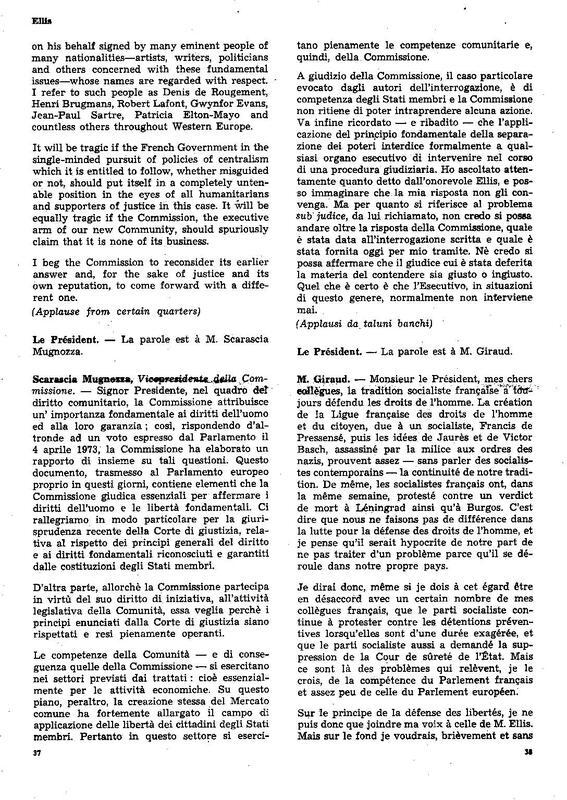 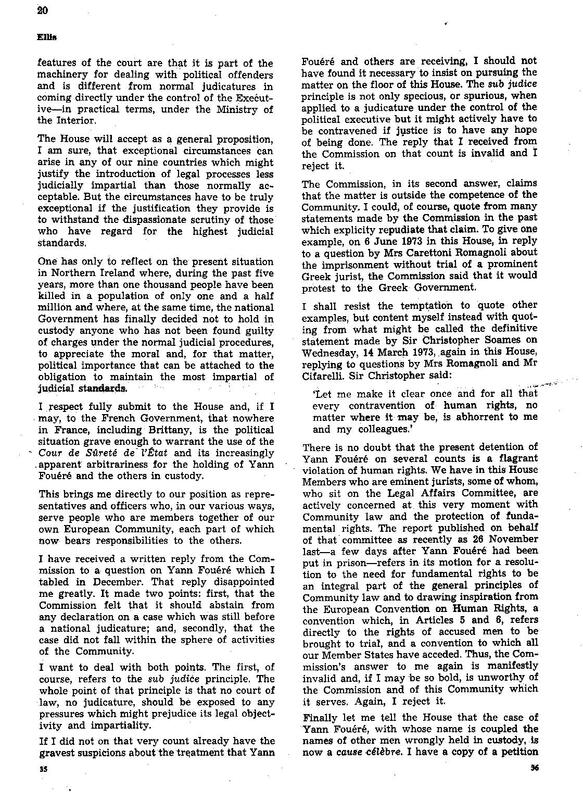 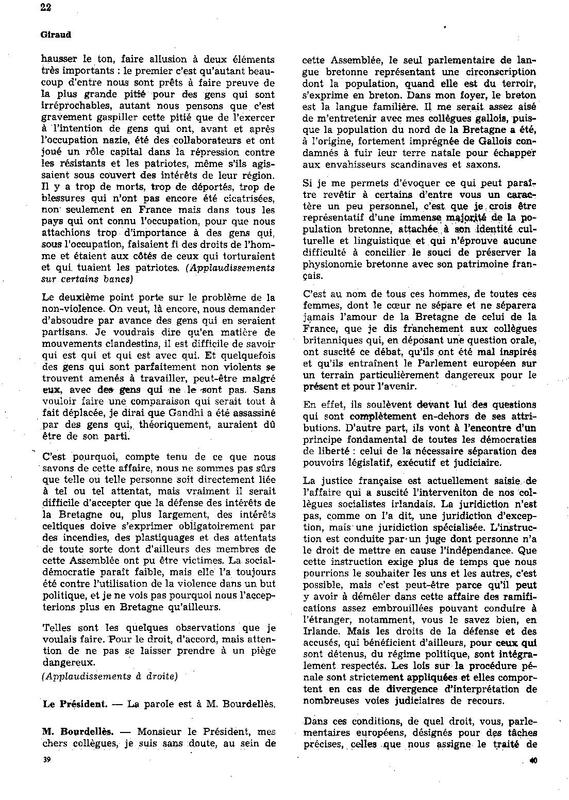 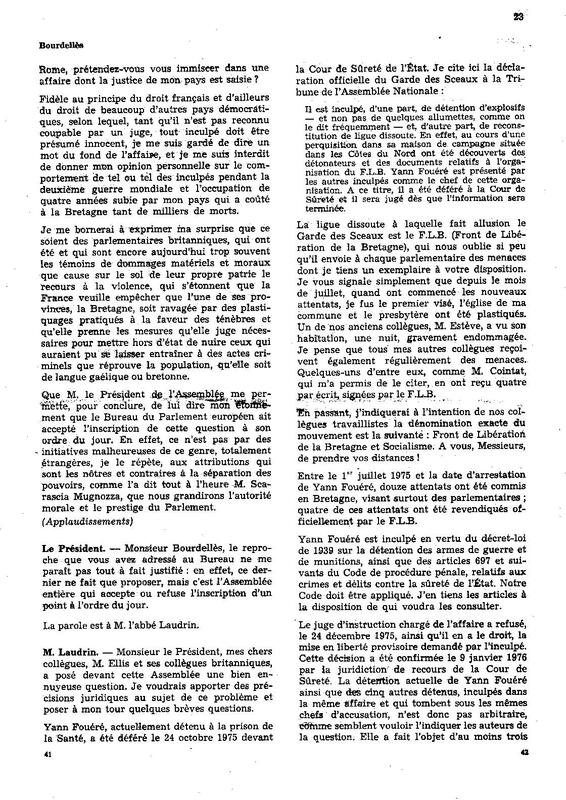 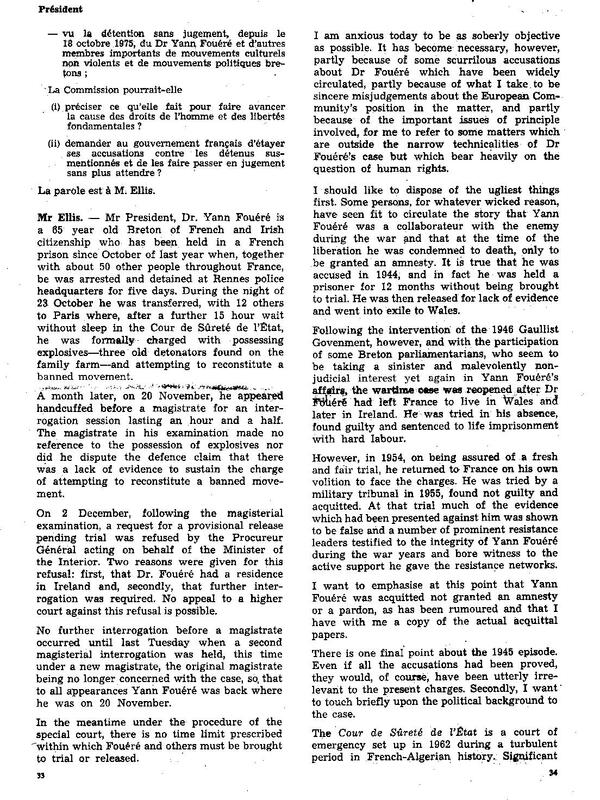 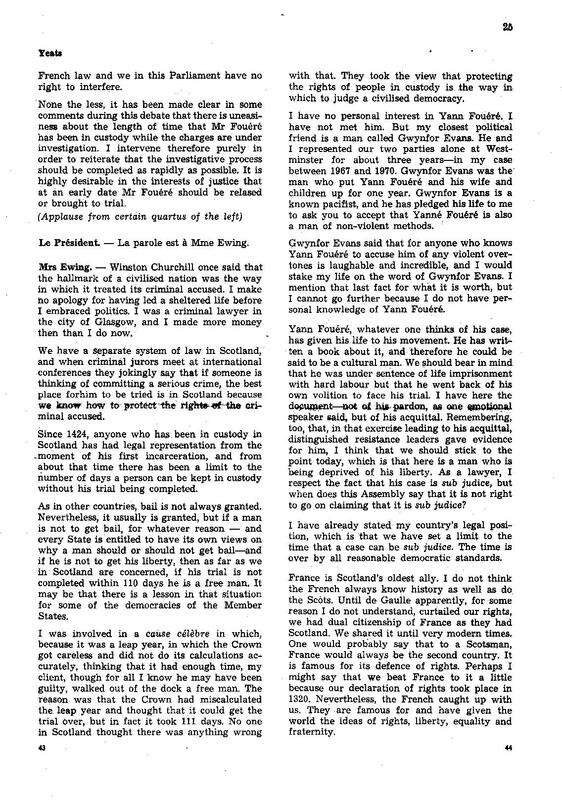 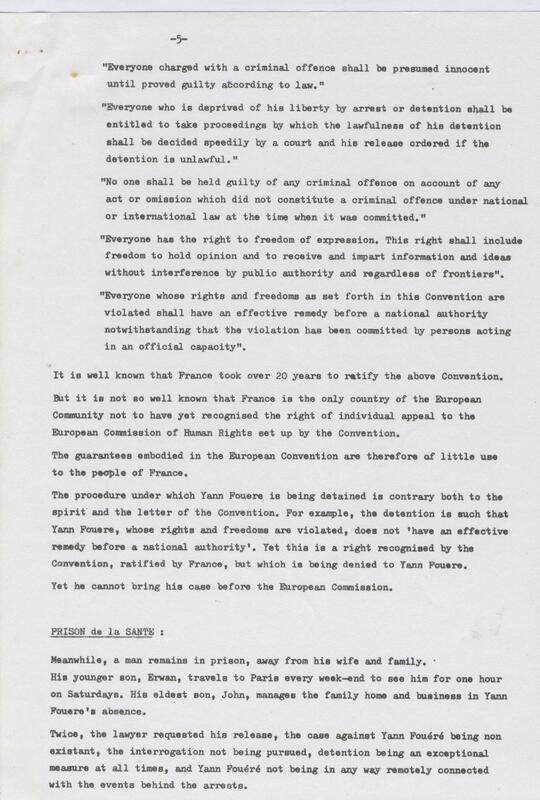 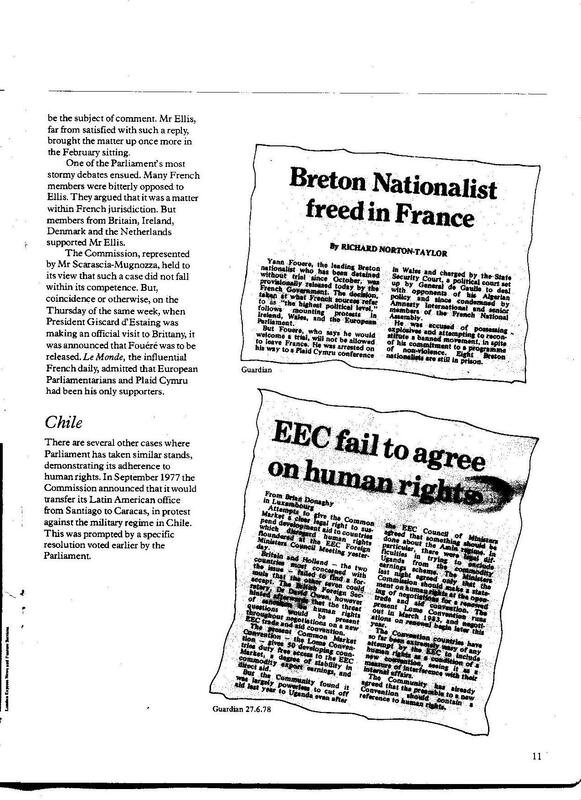 9th Feb. 1976 – Strasbourg – Debate in the European Parliament on the detention without trial of Yann Fouéré and others in France, with interventions from Mr. Ellis,(in English) Mr. Scarascia Mugnozza, Mr. Giraud,(in French) Mr. Bourdellès,(in French) Mr. l’abbé Laudrin,(in French) Mr. Yeats,(in English) Mrs. Ewing (in English) and Mr. Espersen. 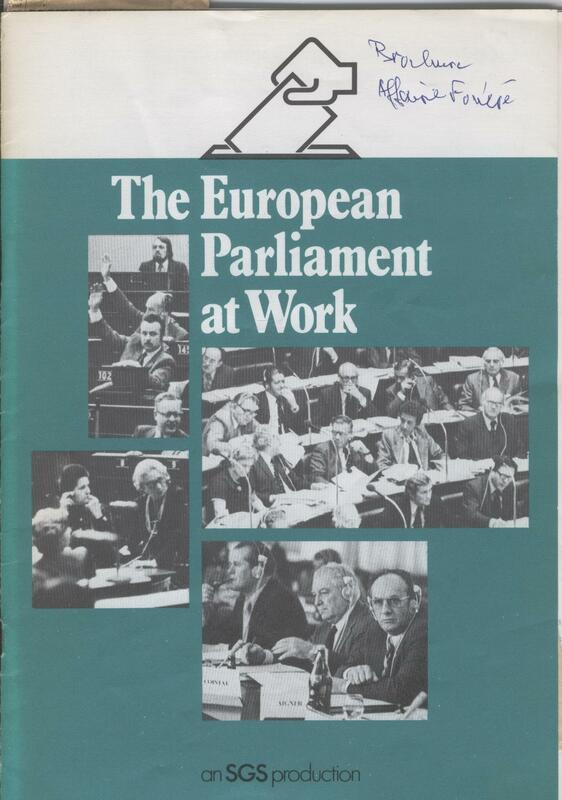 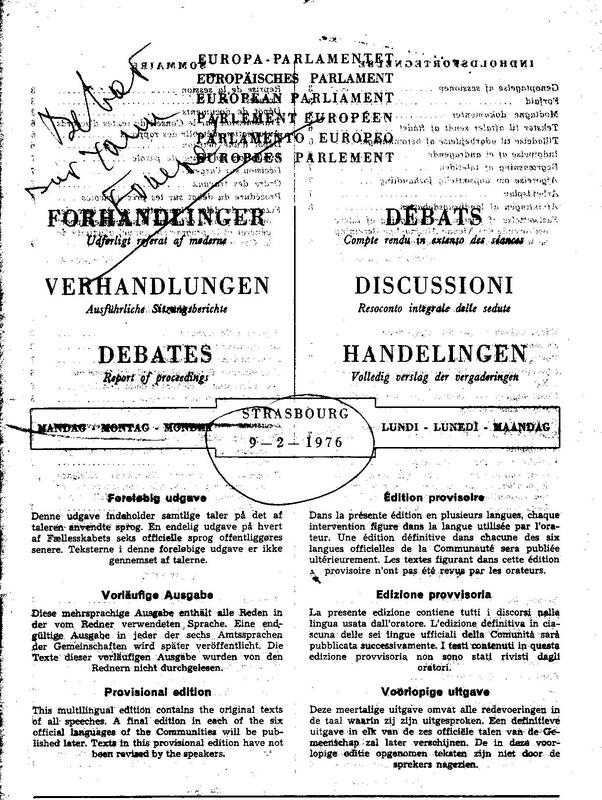 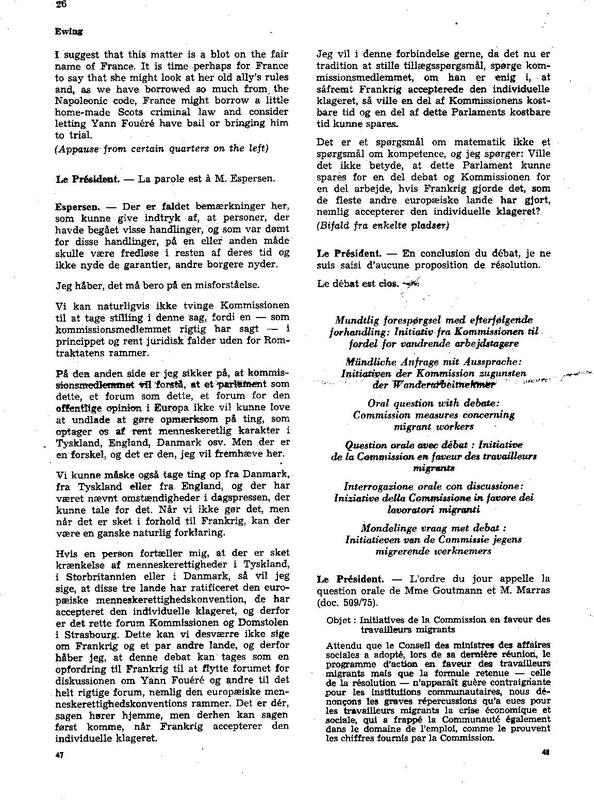 This Brochure ‘The European Parliament at work’, published in February1979 in London by the European Parliament and the Commission of European Communities, was distributed in some political circles and to the press. 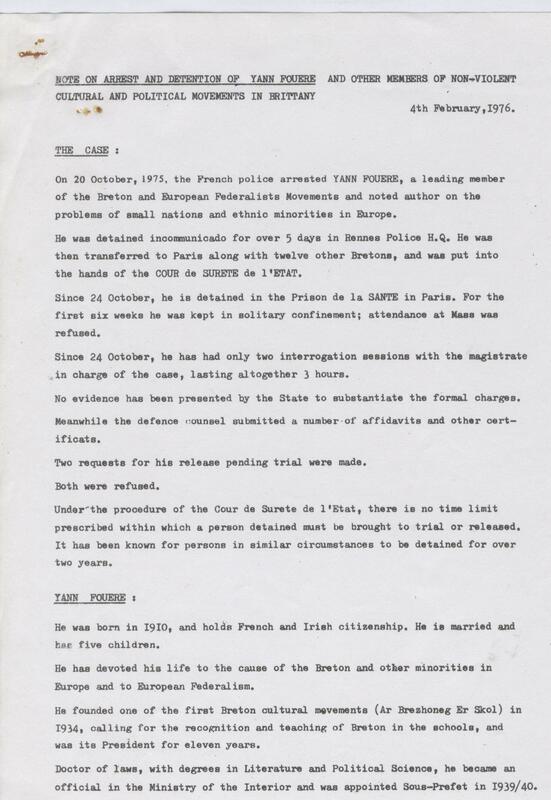 A few days later, the French Minister of Foreign Affairs, Francois Poncer had, first requested, and then demanded that it be withdrawn from circulation because of passages on pages 10 and 11 concerning Yann Fouéré. 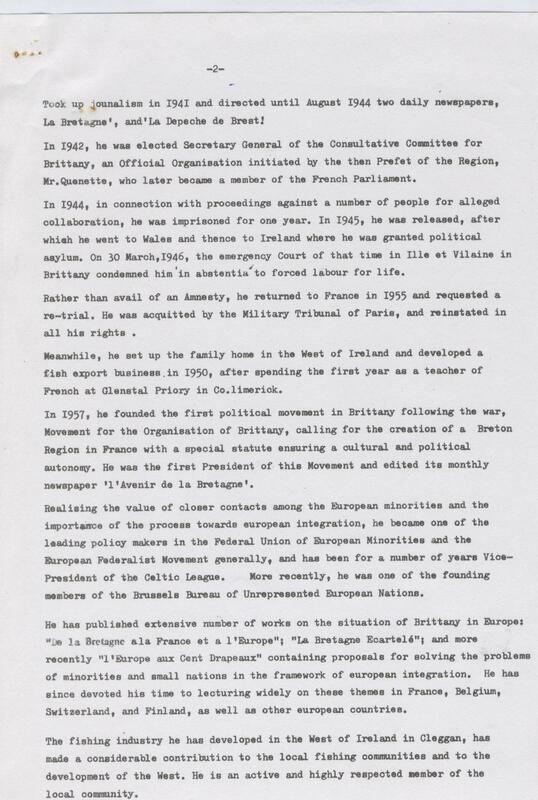 Although 60,000 copies had been published with EEC funds, he succeeded in having the remaining copies burnt ( over 55,000 copies) owing to the fact that France at the time presided the Council of Ministers of the Community. 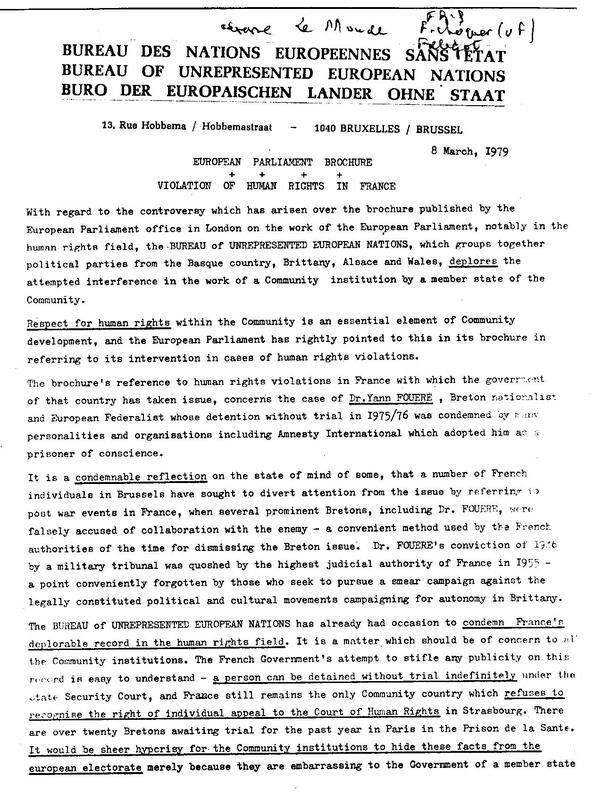 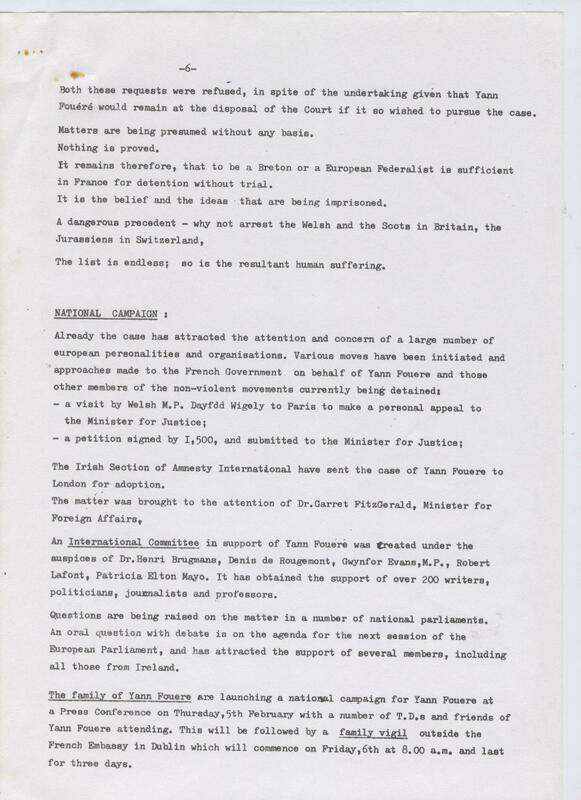 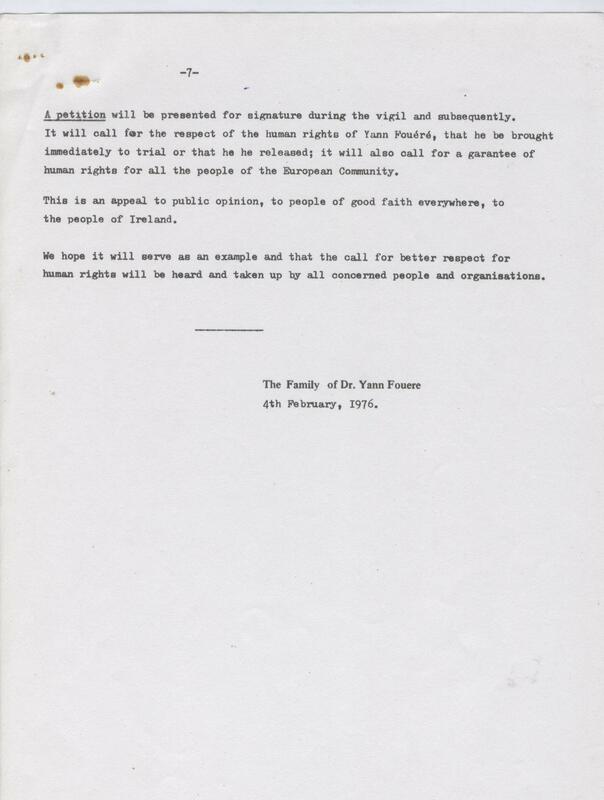 March ’79: Bulletin from the Bureau of Unrepresented European Nations regarding the above. 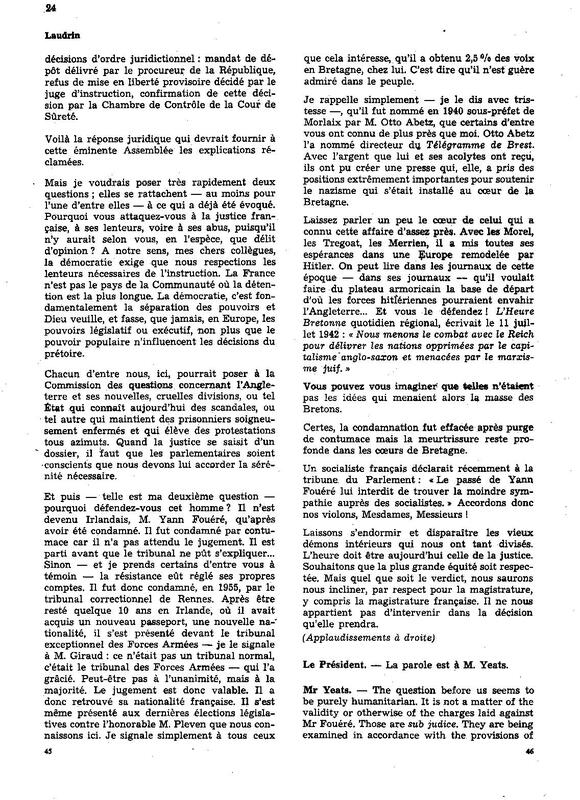 ( Se also in Archives under Yann Fouéré, of the French site, articles that appeared in ‘Le Monde’).